The above paragraph is over 100 words. It’s a pain in the rear to throw that boilerplate on any blog I do that mentions work, but this subject is important to me so I believe it is worth the hassle today. So is it clear to everyone this is my view and in no way reflects the views of the Air Force? Good. I want (surprise!) to talk about health-care. You see, when I get sick…. I go to a medical clinic which belongs to the government, whose every operational bill is paid by the government, and I see a doctor or nurse in a government uniform, whose every paycheck is signed by the government. He or she writes me a prescription which I take to the government owned pharmacy, and the pharmacist, wearing a government uniform, who is paid by the government takes the pills the government paid for, and gives them to me. And I never, ever, see a bill. Now, there is a name for the sort of medicine where the government owns the hospital and everything in it, pays all the employees, pays for all the drugs, and never charges the patients anything, regardless of income. It’s called SOCIALIZED MEDICINE. So, if socialized medicine is so bad, why does the military have it? The number one answer I get is that we in the military deserve our benefits. (Implying, I guess, that the unwashed, unpatriotic masses at home don’t, but that’s not my point.) My somewhat biased opinion is that the US military deserves the best health-care available. And the statistics say we have it…and oddly enough that we are very happy with it, and don’t want to have to pay our own way, or have to find which of hundreds of competing hospitals has the most affordable rates, or read hundreds of pages of insurance documents. The service members I know, don’t want more competition, or a system in which the service members who make the most, get the best care. Well, lets go over the facts, as I can find them. Health care in the USA is troubled. 60% of all bankruptcies are due to medical debt. America pays more per capita GDP for it’s gov-care (which covers 1/3 the population and ½ the cost of all medical bills) then countries with universal gov-care for 100% of the population. By the same measure, the US also has the highest private health care expenses. Between the two, US citizens, on average pay over two times more than citizens of other nations with comparable qualities of life. Worse still, by almost any measure, the US health care system is at best, only competitive and at worst, behind other nations in over all citizen health. Despite the objectively verifiable low value of health care in the US (That is to say, the price adjusted for exchange rate and local GDP is far higher then the same effectivity of care in other nations.) The producer’s price isn’t high enough to change consumer behavior. This is proven by the fact 33% of all mortality is preventable through life style change. (18% and 15% to tobacco and obesity/inactivity respectively). Preventable care expenses are over half the total cost of health care. Health care is a system or network. Consisting of four major actors. The health care provider, the health care consumer, the health care insurer, and the government that regulates them. Change must be network-wide to improve the situation. Single actor change would only displace expenses onto the other actor/s. (A) Over-care. All actions have risk, including inaction. The increase is procedures does not increase in expense proportionally, but exponentially, because with each action the provider takes, the person is exposed to new risks, which will require new corrective action, which will create more risk, in a cycle. The number one cause of over-care is fear of litigation. (B. )Health care provider labor cost, primarily nurses. (E.)The requirement for all hospitals to provide free emergency room care to anyone who needs it. 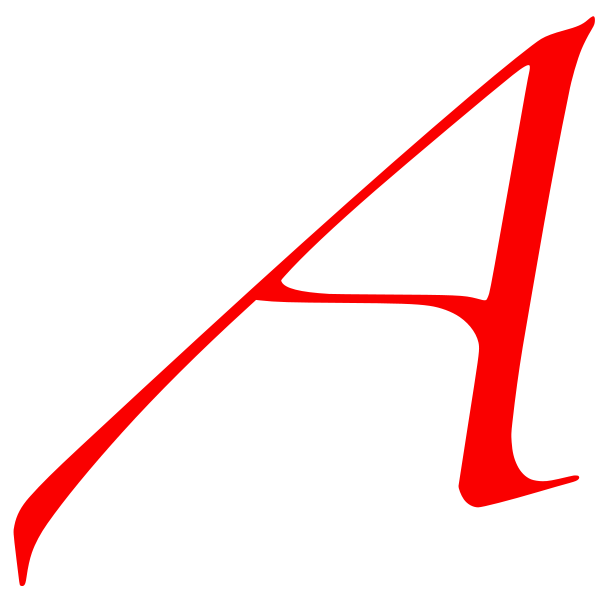 (A. )Other then the cost of claims, the primary cause of high premiums is deductibles which are proportionally low in comparison to the claim cost. (B. )Insurance companies are not allowed to price premiums based on risk but must instead at least in part, price premiums based on government mandate. (C.)Insurance companies have restrictions placed on their business model that other similar industries don’t have. (D.)Insurance companies are not allowed to enter area markets based on market forces, but on government mandate. So, whats the solution? 4A: Tort reform. 4B: Replace the universal state boards with industry designed tests based on specialization. 4C: Creation of single gov-care agency instead multiple competing ones. 4D The Canadian gov-care system has about half the administrative cost of the US system. Utilization of “best practice” is in order. 4E: Congressional moratorium of this unconstitutional unfunded mandate. 5A. Creation of tax sheltered savings accounts for funds earmarked for deductibles. 5B, 5C, 5D: The deregulation of prices and charges within the insurance industry. The new price-controlled-by-market insurance companies will be able to charge cost effectively rates for self inflicted illness, solving 2. This is the last word on health care reform. Anything less then this isn’t reform. Anything more is government reform with a focus on health care. The purpose of market is to provide a place for the producer and consumer to form voluntary contracts. The market has no intrinsic morals and only one rule: the best deal. The producer makes supply, the consumer makes demand. Between them, and the competition of various producers to provide for various consumers, this constant desire for the best deal drives price ever downward. It rewards the most efficient producer and the most efficient consumer alike. It’s almost a kind of magic. Market failure doesn’t refer to a total break down of the buying and selling but a break down of the magic, of the automatic best deal for everyone. It’s not discrete point, but direction the market can go. The opposite direction leads to the perfect market. It too is not a destination but a direction, the ideal by which markets are judged. A perfect market consists of a few key principals, describing the market as a game it looks like this: (1.) Rationality of all players in the game. (2.) No hidden costs to any move. (3.) Enough players that no single one can steer the game by their behavior. (4.) something all the players want to play with [demand] (5.) Freedom to play or not play at any point (6.) No barriers to entering or leaving the game (7.) No barriers to any player about information on any other player. How does the medical industry fail these criteria? (1. )Well, first of all, the medical consumers are highly irrational. Short term fun at the expense of long term health is not rational, yet 80% of heat disease alone is preventable. Throw in smoking, obesity, diabetes, etc, and the single greatest killer is short sightedness. In a perfect world, doctors would serve as check on this irrationality, but the fact is, doctors are over-treating (which gets people killed) because of their fear of litigation. The consumer is crazy and so is the producer. (2. )The whole field is full of hidden costs. From regulations you never heard of to taxes you can’t imagine, the medical field is a minefield of hidden costs. (3.) Well, about half of the cost is payed for by one player (gov-care), and up to 70% of the remaining half is payed for by one company per area. Normally, this would be called oligopoly, but honestly, its worse than that. Because the first half is the government, its more like a oligopoly on the second half and monopoly on the first. Under normal circumstances, even if a player owns 50% of the total market, that player can rarely take away your organization’s legal right to exist, or place members of your organization under arrest. The government has what is known as a monopoly on force. Monopoly represents a market distortion. Force, on the other hand, represents the nonexistence of market. The foundation of market is people forming contracts of their free will, ie, without threat of force. (4.) Demand, we’ve got. Sort of. The fact is, while doctors may not be the paragons of reason we hope, the producer side (as is typical in other industries) is better at being rational then the consumer side. If nothing else, it’s better organized. The consumer demand is health, not care. But doctors have no economic incentive to pursue health. They have need to produce care. So there is break down between the needs of the consumer and the ability of the producer to meet that need. Note, I am not saying there is a conspiracy by doctors to keep people sick. Doctors are like most people: there’s a few true saints, a few evil bastards, and lot of pretty ethical folk. But the fact is, we must relay on doctors’ moral incentive and not their economic incentive to provide us with health. Systems work better when the two incentives are the same. (5.) This one absolutely does not apply. Playing in this case means the freedom to form or not form voluntary contracts. If the consumer doesn’t enter the market he suffers or dies. At the same time, if the producers do not enter the market many suffer or die. Further, hospitals must provide emergency care to everyone, regardless of ability to pay. On the insurance side, insurers must provide insurance to at a loss to certain high risk people. They must by law. (6.) Well, the barriers to entering the game are enormous. Lets say we want to start a tiny private practice, with very limited services. First, the price of becoming a MD is between $175K and $200K. Then, the first year cost for 1600 square foot commercial space, a receptionist and tech who makes no benefits is about $250K­. So, minimum startup cost is right around half a million dollars. Nor can hospitals simply exit the market, they provide a community service and without them people will suffer and die. Insurance is the most heavily regulated industry in the US, so even if cash on hand was not a problem the regulations would be, but in any case, and insurance company must have the cash on hand to pay out all claims if they were all called at once. The startup costs for an insurance company are in the tens of millions. (7.) This is the worst. Insurance companies use hundred page contracts written legalese on purpose, to hide the information the consumer needs to know. At the same time, insurance fraud is a huge expense, because people aren’t honest with the companies either. If people are totally honest with doctors, their premium could go up. Conversely, if doctors are honest about risks with patients, the patients will simply go to another doctor who paints a rosier picture. Again, the moral incentive is diametrically opposed to the economic one. All in all, it’s a wonder health care is as cheap as it is. Again, I’ve hit over 1000 words, so I will post my solution(?) later. Thanks for reading all, feel free to weigh in on any of this. I thought this was going to be an easy post. I thought, hey, the insurance companies are a bunch a bastards, but it turns out insurance companies, while not blameless, are not quite the devils I’d thought. Basically, health insurance is expensive because (1.) Continual, long term expenses are a really stupid thing to pay with insurance. (2.) Hospital bills are really high and require high premiums. Could insurance be improved? Certainly, but it is not the real cause of high medical bills. So, then I went into why hospital bills are so high. Basically hospital bills are high for a few reasons. (1.) Fear of litigation, rather than litigation itself, causes a lot of unnecessary stuff to be done. (2.) Hospitals are a skilled labor intensive industry, and skilled labor is very costly. (3.) The existing socialized care costs the hospital about 15% loss off of net, or about a 40% loss off of gross. Could hospitals improve administration and information management? Certainly, but those are marginal gains compared to over-treatment and labor costs. So, can hospitals be run cheaper? Yes. Should they be? Should is a surprising long word. Every war in history has been fought between the S and the D of should. Should implies is an ideological question, not an economic one. So lets talk about ideology. First off, do you have a right to health care? Absolutely! You have a right to life, liberty and the pursuit of happiness. Rights are tricky things though. The First Amendment says you have right to freedom of press. Does this mean the government has to assist you in setting up your own news network? Or merely that the government is forbidden from preventing you from doing such? Clearly, your right to life means the government cannot prevent you from seeking health care, not that it must provide it. So, accepting that fairly obvious fact, what is the health care problem? The fact the health care consumer is complaining health care costs too much really doesn’t amount to a hill of beans. Consumer think everything cost too much. Producers think everything goes too cheap. Demand drives prices up, supply drives them down. So, what’s the problem? Two possible ones: false expectations and market failure. First false expectation? You are entitled to long life. Actually you’re not. No one is. Long life is combination of four things, genetics, choices, luck, and health care. You know what the leading cause of death is in the United States? Heart disease. You know why that is pathetic? BECAUSE 80% OF IT IS PREVENTABLE THROUGH LIFE STYLE CHANGE! That’s right, 80% (Harvard School of Public Health, Department of Nutrition) Over 600K people died in 2006 from heart disease, 480,000 at the end of a series of stupid ideas. Even if the US had the best health care in the world, even if by some economic miracle it was free, 20.8% of all fatalities would have happened anyway because people found health care more attractive than responsible living. Forth false expectation: people are entitled to a risk free life, and are entitled to compensation when risk has consequences. No. Just plain no. Life is risk. Hospitals, treatments, etc, all have risk, and if a person is made aware of the risks and choose the course anyway, they aren’t entitled to any form of compensation. That just leaves market failure. I try to keep my blogs under 1000 words, so I will have to write that one later.